Partial automation of Ports of Auckland’s Fergusson Container Terminal was announced earlier this year and will be a game-changer for the port, ensuring extra terminal capacity without reclamation, says CEO Tony Gibson. The technology will allow the port to handle up to 1.7 million TEU each year (one TEU is the equivalent of a 20ft container), enough to support an Auckland population of around 2.7 million. Future technology will give the port additional capacity to serve a regional population of 5 million – more than three times the current population. Fergusson Container Terminal has five cranes, and to ready the terminal for bigger ships and automation, the cranes had to be rearranged. The two older, smaller cranes were lifted off their rails in May so the three newer, larger cranes could be positioned at the north end of the terminal, where they will be able to work bigger ships. This massive job was done in between customers at the busy terminal. Mr Gibson has paid tribute to the company’s highly skilled engineering team who worked closely with crane manufacturing company ZPMC to carry out the project. “We run a very busy terminal, so getting this job done quickly and with minimum disruption to shipping was essential. It’s a bit like doing knee surgery at half-time and then getting your player back on the field for the second half,” he says. The relocation means that the cranes are now positioned well to work on the bigger ships calling at Auckland’s port. This means a more efficient container terminal and a port that can cater to Auckland’s growing freight demand. Granting of a 25-year maintenance dredging and disposal consent for the Otago Harbour channel will allow Port Otago to cater for increasingly bigger ships on the New Zealand coast. 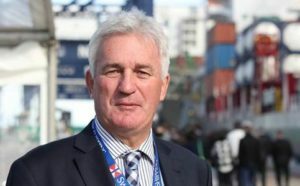 Geoff Plunket, outgoing Port Otago Chief Executive, said the latest dredging consent, granted by the Environment Court earlier this month, puts in place all the necessary consents required for maintenance and development dredging for the next 20-25 years. Port Otago also recently secured a 20-year consent to deepen the channel to 15m, an integral part of the company’s Next Generation programme. Mr Plunket said the original process had commenced in 2009 with the application to deepen the shipping channel to Port Chalmers. “This successful outcome serves to again underline the importance of positive community engagement and a willingness to adopt an environmentally responsible approach to dredging and disposal activities. Consent was originally granted in February 2017. POL appealed one consent condition on the dredge plant size. ORC accepted the appeal and recommended that consent be granted by the Environment Court. The world’s largest container ship, the 21,413 TEU OOCL Hong Kong, has made its maiden call at Hutchison Ports’ Port of Felixstowe. The call represented a double celebration as it also marked the return of OOCL to the UK’s largest container port after a 17 year absence. 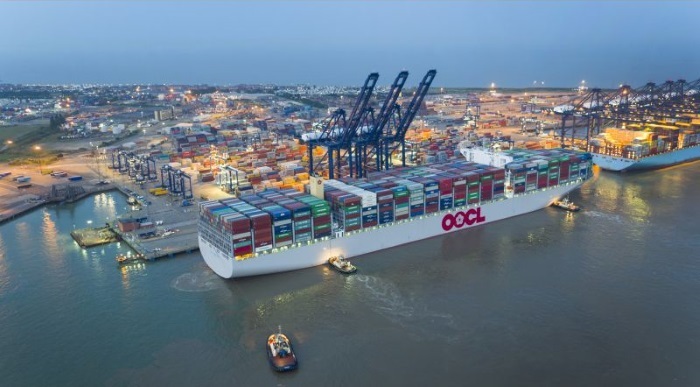 Commenting on the two events, Clemence Cheng, CEO of the Port of Felixstowe and Managing Director of Hutchison Ports Europe, said: “The OOCL Hong Kong is the latest in a line of mega vessels to call at the Port of Felixstowe. The port’s location close to the main shipping lanes and the ports of Northern Europe, combined with a unique combination of road and rail connections, makes it the first choice for the latest generation of giant container ships. The 210,890 gt vessel was built at Samsung Heavy Industries’ (SHI) shipyard in Geoje, South Korea. Measuring 400m-long and 58.8m-wide, the OOCL Hong Kong serves the Asia-Europe trade lane as part of OOCL’s LL1 service. The Ocean Alliance consists of OOCL, CMA CGM, Cosco Shipping and Evergreen Line. SWIRE Shipping has instituted changes to its services in New Zealand and the Pacific, not the least of which centred around its NZ coastal routes after the Kaikoura earthquake put some logistics infrastructure in the country out of commission. Swire Shipping general manager – commercial Brodie Stevens told Lloyd’s List Australia that Swire’s coastal arm, Pacifica Shipping, reported strong support in the coastal trades since the earthquake. “With the rail link temporarily out of action and road capacity under pressure and relatively expensive for some commodities, coastal shipping has proven to be a reliable and sustainable mode,” he said. Meanwhile, Swire’s Trans-Tasman Service is in for a change in the next month. Mr Stevens said Swire had maintained its twice monthly (TRT) service on the Tasman despite challenging conditions, and recently announced changes that would see the service move to a “fixed day fortnightly” schedule. “In New Zealand, the service will call at Auckland, Marsden Point and Tauranga and has ceased calls to Napier, Lyttelton and Nelson, which will now be serviced by transhipment on other Swire Shipping services,” he said. The revised rotation is to be Auckland – Marsden Point – Tauranga – Melbourne – Port Kembla – Sydney – Newcastle – Auckland. The first westbound sailing of the new service is due on June 25 out of Auckland with the Hong Kong-flagged Kokopo Chief (IMO 8907412), which is a fully cellular containership with a capacity of 725 TEU. The first eastbound sailing will be from Melbourne on July 8, also with the Kokopo Chief. Turning our attention north, towards the South Pacific, Swire increased its coverage into the Pacific Islands from North Asia. “The line now offers up to six services a month from Asia to the Pacific together with services from USA, Canada, Australia, New Zealand and Europe,” Mr Stevens said. Last year, Swire established offices in Apia, Suva and Lautoka. This coincided with its establishment of a fortnightly service from Australia to Prony Bay, Noumea, Lautoka, Suva, Port Vila and Santo, with transhipment serving other Pacific Island ports. The service deploys two geared CNCo-type Miho vessels with a nominal capacity of 981 TEU. Mr Stevens said Swire was moving towards more independent operations in the South Pacific markets. 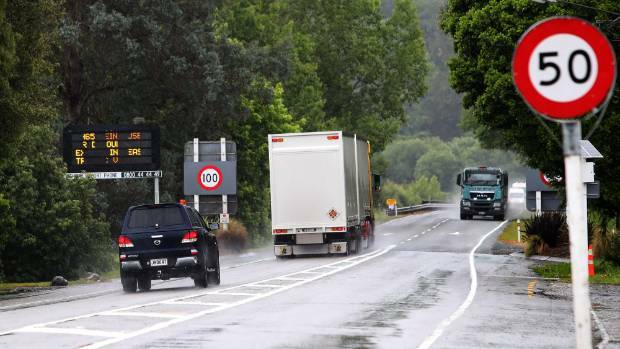 Dannevirke bus company owner Derek Rose is hot under the collar after news the road through the Manawatu Gorge will remain closed for at least three more weeks. The road has been closed since April 24 because of slips and a dropout and Mr Rose told the Dannevirke News he’s angry there’s been little information in the past week on the state of the road. Mr Rose runs two buses a day over the Saddle Rd and he said it’s tough on trucks and heavy vehicles. The Transport Agency has said the road will remain closed while safety works and geotechnical assessments are completed. 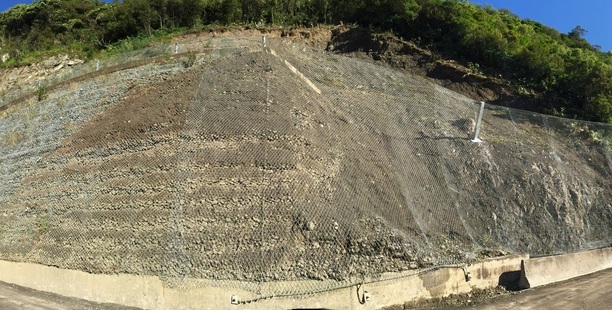 Transport Agency highway manager Ross I’Anson said physical repairs, including the installation of new rockfall netting and the reinstatement of a damaged retaining wall, were on track to be completed by the end of this week as planned. However, further geological assessments of the slip sites were needed to assess the level of potential risk of further slips or rockfalls before the road could be safely opened. 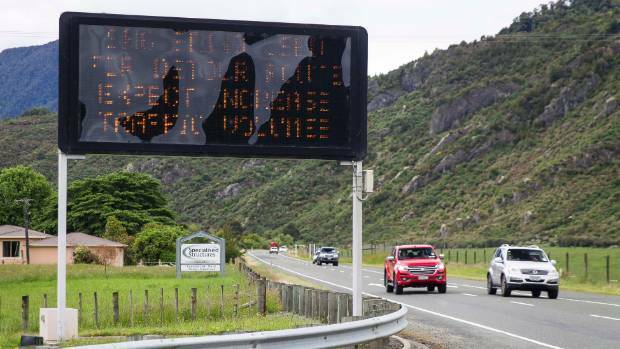 Tararua District mayor Tracey Collis said safety in the gorge was paramount. “The significance of the slips is always a concern and a number of our residents have known people whose vehicles have been hit with falling rocks,” she said. Mrs Collis said she had travelled over the Saddle Rd and expressed her concern about the state of some parts of the road. Once the gorge is open she wants work on the Saddle to be completed as soon as possible. 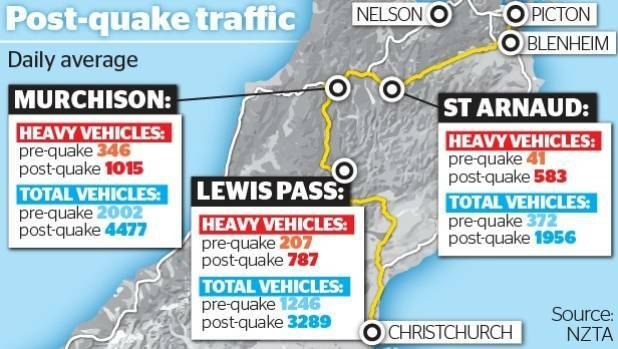 Mr I’Anson said the NZTA was working with its contractors and independent geotechnical engineers to complete the assessments as soon as possible. “But these evaluations must be thorough to ensure the road is safe when it is reopened,” he said. “While the slips have been cleared and the road has been repaired at both sites, the slips have altered the rock faces above the road and we need to thoroughly assess any additional risks the newly exposed rock might pose for road users. “The recent slips have resulted in new cracking in the rock faces on either side of the slips and we need to identify if there is a risk of additional rock falling on to the road and, most importantly, what additional work may be required to provide further protection for road users. 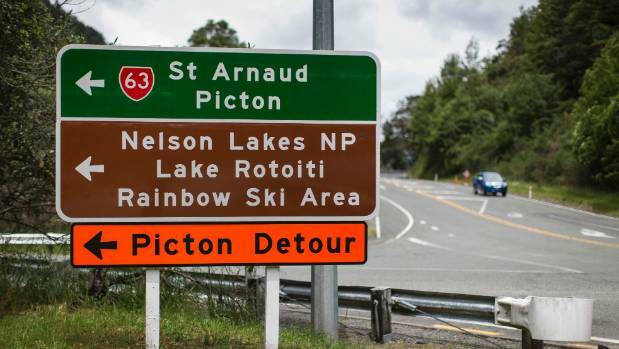 He said that in parallel with the geological assessments of the gorge slip sites, NZTA would be progressing with the detailed business case process to look at all of the options available to provide a long-term, resilient and safe connection through the Ruahine/Tararua Ranges. “This is a very significant route which forms a strong link into the central freight hub of the Manawatu and provides vital connections for people in the region. The NZTA is focused on providing strong, resilient transport links that contribute to the region’s economic growth and prosperity,” he said. Mrs Collis said she and other regional mayors would be pushing for a long-term solution. The New Zealand First deputy leader, Ron Mark, in Dannevirke yesterday morning for a breakfast meeting, said he didn’t understand why it was taking so long to come up with a solution to the continuing problems with the Manawatu Gorge. Mr Mark said he believed a cut-and-cover option might be the best, but he’d also like to see a feasibility study on a tunnel. Meanwhile Mrs Collis has accepted an invitation to take a look in the gorge as soon as possible. The Port of Tauranga has set a new record after processing one million shipping containers in one year. Chief executive Mark Cairns said the was a momentous occasion was reached on Tuesday last week. “We are the first port in New Zealand to reach the milestone”. According to Statistics NZ, the Port of Tauranga was the largest port by volume in the country. The Port of Tauranga had spent $350 million on a 10-year capital investment programme to enable it to become ”big ship” capable. The upgrade was beginning to pay dividends, Mr Cairns said. 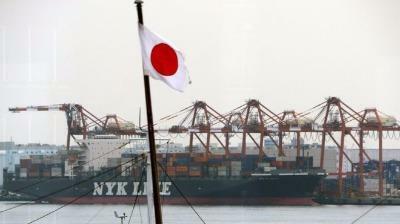 Ships that can hold 9,500 containers are coming into the Port weekly to load New Zealand export cargoes which are shipped directly to North Asia. At any one time, there would be more than 2000 people working at the port, which had increased along with the trade through the Port, Mr Cairns said. In August the Port would also announce its financial results and estimates indicated the 2015/16, $79m profit would be surpassed. Mr Cairns said he was looking forward to celebrating with customers and major stakeholders at a function on Tuesday. Priority One chief executive Nigel Tutt said the port was ”an extremely important asset for the city’s economy”. The success it had following its bold expansion programme shows investment for the future could pay dividends for the port and the wider region, he said. Businesses would also benefit by the bigger ships. Tauranga City Council Mayor Greg Brownless said the port was well run and competitive. Its impact on the region’s employment, directly and indirectly, was enormous and great for the community, he said. A flotilla of boats is blocking the shipping lane of Tauranga Harbour. In a statement, Ngai Te Rangi iwi said the protesters signalled to the port authorities they would not give way to any commercial vessel attempting to cross their lines. The flotilla controller also signalled that recreational boats will not be impeded. The protest was not aimed at the Port of Tauranga, the statement said, but aimed to assure the Prime Minister and Minister of Treaty Negotiations that Ngai Te Rangi would not accept any Crown deal giving rights to Tauranga Moana to a Hauraki collective of iwi and hapu. In the statement, Ngai Te Rangi claimed Treaty Negotiations Minister Chris Finlayson was pushing through a secret deal that would give those rights to the Hauraki iwi collective. Further action was planned for Saturday June 17. Ngai Te Rangi planned long term protests and is setting up a base camp on Matakana Island. A reporter at Pilot Bay said a waka in the harbour had failed to stop a ship entering the port. A spokesperson for Minister for Treaty of Waitangi Negotiations Chris Finlayson told the Bay of Plenty Times there had been no secret deal. The spokesperson said proposed arrangements for the Tauranga Moana Governance Group, part of the Tauranga Moana Framework, provided for four seats for Tauranga Moana iwi (this includes Ngai Te Rangi), one seat for iwi of Hauraki (and any other iwi with recognised interests in the Tauranga Moana catchment) and five seats for local government. The Waitangi Tribunal confirmed in 2004 that iwi of Hauraki had customary interests in Tauranga Moana, particularly in the Te Puna and Katikati area, the spokesperson said. The Hauraki Collective Redress Deed, which was initialled in December, is available to view online at https://www.govt.nz/treaty-settlement-documents/hauraki/.